What makes a good storyteller? How do we know when we've effectively shared a story with our audience? Here are some examples of storytellers that are connected to Canadian Culture and that are all over the internet. Listen to each. What makes them effective? Robert Munsch is a recognizable name for families in Canada and around the world. Follow this link to his website and listen to his story about a "Class Clown". Does it work without pictures? If so, why? If not, how come? 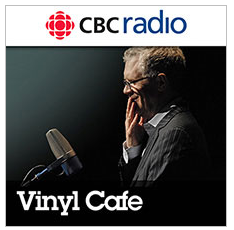 Stuart McLean may be that voice spills out of your parents radio when they pick you up on the weekend, or when they need a break from music. He is renowned as one of the best storytellers in the world, and for good reason. What are some of those reasons? Follow this link to find out!